Dr. Allan Milewski and his staff are proud to be in-network providers for Delta Dental, which is the largest dental benefits company in the U.S. Delta Dental offers subscribers several options for coverage. 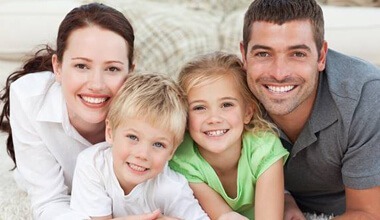 How fortunate for you that your employer chose Delta Dental to help you take care of your family’s smiles! We encourage you to focus on preventive care in order to get the most out of your insurance coverage. In addition, preventive dentistry is a great way to avoid more complex and more expensive problems down the road. Delta Dental Premier is a traditional fee-for-service plan that allows you to visit any licensed dentist you choose. As a Delta Dental Premier dentist, Dr. Milewski has agreed to abide by Delta Dental’s determination of fees. When you visit our office, Delta Dental ensures that you pay no more than the co-insurance percentage specified by your coverage. 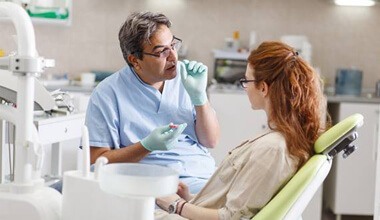 Preventive dental care is vital to helping you and your family avoid dental health issues such as tooth decay, gum disease or damage from cracked teeth or loose fillings and crowns. This is one of the reasons why dental benefits expire at the end of a calendar year. When you know there’s a deadline, then you’re more like to have the services you need. Delta Dental wants you to use the benefits you pay for and have regular dental checkups! Our office will be glad to work with you in order to schedule visits that straddle two calendar years, so you never have to spend too much out-of-pocket. Faye is the Financial Coordinator in Dr. Milewski’s office. She is the one in our practice who can answer just about any question you have about Delta Dental Premier. She can also help with any concerns you may have about treatment, help you schedule your appointments at a convenient time, manage your insurance, and help to make your treatment affordable. Faye is committed to helping you feel comfortable with all aspects of your dental care. If you have dental insurance through Delta Dental Premier, be sure to use your benefits to the fullest. Dr. Milewski and his staff are here to serve you with preventive, restorative and cosmetic dentistry.